Thank you for a rich month of musical and artistic fun! We had a great time at Music&Arts Camp 2017 and look forward to next year! Each week brought in a fantastic group of campers and counselors alike. Hopefully your children have shared with you a bit of what they've learned and experienced but in case they haven't, here's a quick roundup. Campers began each day with movement and yoga, followed by engaging ice-breaker activities. Campers released their inhibitions through improv games, pantomime and "mirroring". We introduced different genres of music and explored the ins-and-outs of various musical instruments. Talented guest musicians performed for us including a classical cellist, a Cuban percussionist and an electric guitarist with a decked out pedalboard. At the end of the day we'd gather together, enjoy a popsicle and hold a "Popsicle Performance". 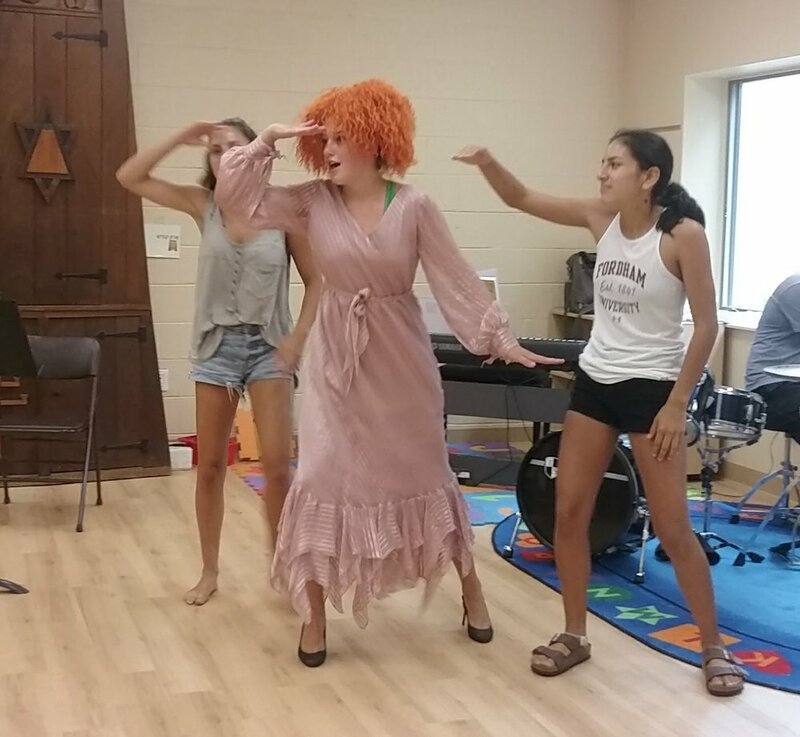 Campers were encouraged to perform for each other, anything from musical selections and originals to skits and jokes! After lunch, the energy was high so we'd play capture the flag, basketball and enjoy the playground. Then, at craft time, we'd settled down to create. Arts and crafts included foraging for our own fairy houses, clay sculpting, jewelry-making and puppets. During this time, campers would receive private lessons once a week on the instrument of their choice. Next, we'd gather together for group singing, where we'd learn about breathing and vocal technique. The songs we worked on this summer included Do Re Mi (our warm-up song), Can't Stop The Feeling, Black Bird, Yellow Submarine, and our own original Camp Rap. All of activities culminated in an end-of-camp performance for family and friends to enjoy. We hope to see you all again next summer! Thanks for choosing Rivertown Music&Arts Camp!